Stream anime episodes online for free, Watch One piece Episode 140 English version online and free episodes. 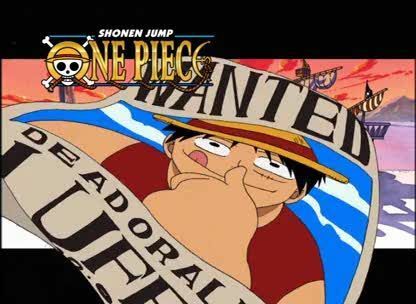 Anime Episode guide One piece Episode 140 English dubbed Residents of the Land of Eternity! The Pumpkin Pirates! Inside the mist, Luffy and his group discover a large ship graveyard. Luffy salvages a chest filled with gold and jewels from one of the shipwrecks, but a distant voice tells him to return the treasure and leave the mist. Usopp believes the voices to be ghosts, but they actually originate from a group of children who call themselves the Pumpkin Pirates. In his youth, Henzo was a member of this group, and they are the reason for his research.